有人說吃 西菜 太多禮儀, 太多 "束縛", 叫人吃得不痛快. This chopstick (A) is just for support, so it doesn't move. Put this chopstick between your middle and ring fingers. 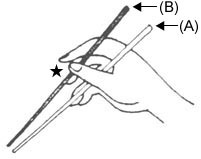 Put the other chopstick (B) between your middle and index fingers, and hold it with your thumb. Only this chopstick (B) is moved when you pick up food. Open the tips of the chopsticks and try to pick up food with them. Take the middle of both chopsticks with your right hand and hold them in front of your chest. Support the chopsticks with your left hand from below. Slide your right hand to the right. Then, hold the chopsticks with your right hand from below. 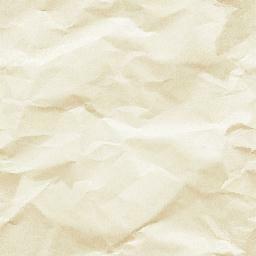 Slide your right hand to the left and stop in the middle wherever it feels comfortable for you.